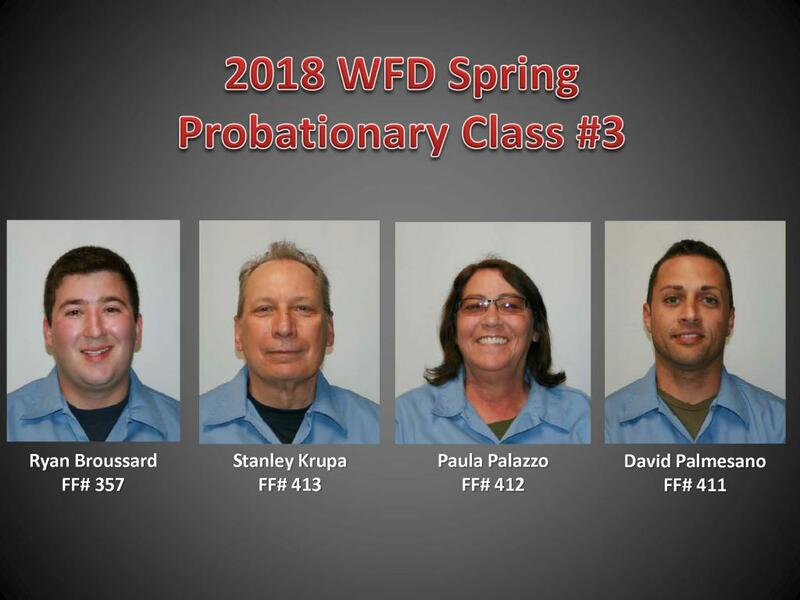 Webster Fire and NEJFD Welcome the Spring 2018 (#3) Probationary Recruit Class! The Webster Volunteer Fire Department and North East Joint Fire District welcome the 2018 (Spring #3) Probationary Recruit Class. The four new members began their recruit orientation on Thursday, May 17th. Probationary firefighters Ryan Broussard, Stanley Krupa, Paula Palazzo and David Palmesano will train under the command of Training Coordinator Brad Ball and Webster Volunteer Firefighter peer trainers. We welcome Ryan, Stanley, Paula and David to our family and wish them the best of luck with their training.